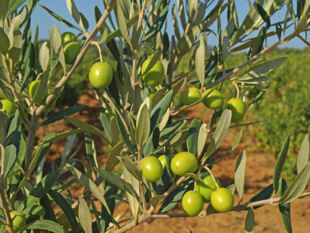 ﻿ Bike Vacations Provence| Hosted France Holidays| Access. - GPS self-guided bike tours for all! 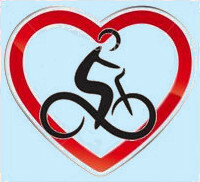 B&B BASED PROVENCE CYCLING TOURS - HOW TO FIND US. HOW WILL YOU BE TRAVELLING? By plane to Marseille Marignane airport - then by car. By high speed train (TGV) to Avignon - then by car. 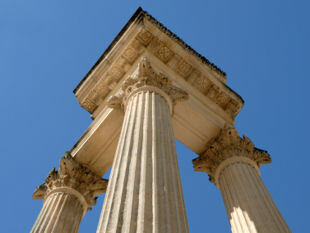 By plane to Nîmes / Garons airport - then by car. By car from the A7 motorway, from either the North or the South. 1. By plane to Marseille Marignane airport - then by car. Head for the A7 motorway which is approx 5km from the airport - follow the blue motorway signs towards Lyon and Avignon. After approx 55kms, take exit 25 for Cavaillon. 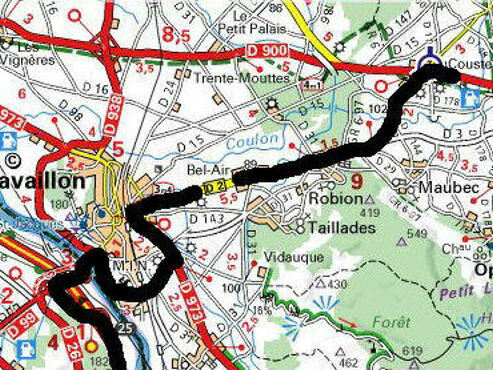 Head towards Cavaillon, but bypass it via the ring road, continually following directions for Apt. Take the D2 via Robion, and onto Coustellet. Once in Coustellet, go straight over the lights on the main crossroads. Do approx 200m and you will pass the "Musee de Lavande" (Lavender Museum) on the right, take the small lane "Chemin du Sarret" immediately after the museum on the right hand side. We are approx 600m down the lane (go through the no entry sign) and are on the right opposite the cherry orchard. The journey should take approx 20 mins from the motorway. 2. By train (TGV) to Avignon - then by car. On leaving the station turn right on the roundabout taking the slip road onto the ringroad "Rocade Charles de Gaulle". Go straight forward over a series of roundabouts. After 5km filter right and turn right onto the N7 at the "Yes" Hotel. Stay on the main road N7 heading south east following signs for Apt. Do not go on the A7 motorway instead take the D900 towards Apt. Continue 20km until you reach Coustellet. Once in Coustellet, turn left at the first lights on the main crossroads. Do approx 200m and you will pass the "Musee de Lavande" (Lavender Museum) on the right, take the small lane "Chemin du Sarret" immediately after the museum on the right hand side. We are approx 600m down the lane (go through the no entry sign) we are on the right opposite the cherry orchard. The journey should take approx 35 / 40 mins from the train station. 3. By plane to Nîmes / Garons airport - then by car. On leaving the airport turn right at the roundabout and take the A54 Motorway east towards Arles. 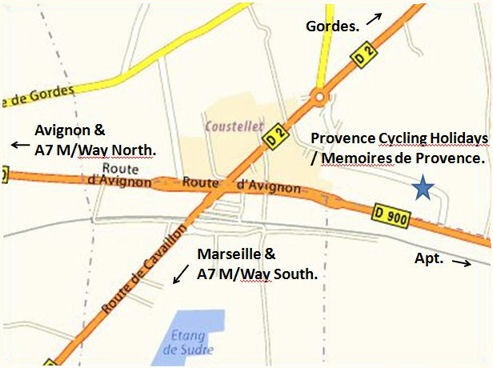 Stay on the A54 and after 64kms, take the A7 Motorway north signposted for "Cavaillon/Avignon/Lyon". After approx 25km take exit 25 for Cavaillon. Head towards Cavaillon but bypass it via the ring road continually following directions for Apt. Take the D2 via Robion, and onto Coustellet. Once in Coustellet, go straight over the lights on the main crossroads. Do approx 200m and you will pass the "Musee de Lavande" (Lavender Museum) on the right, take the small lane "Chemin du Sarret" immediately after the museum on the right hand side. We are approx 600m down the lane (go through the no entry sign), we are on the right opposite the cherry orchard. The journey should take approx 70 mins from the airport. 4. By car from the A7 motorway, from either the North or the South. From the A7 motorway take exit 25 for Cavaillon. Head towards Cavaillon but bypass it via the ring road continually following directions for Apt. Take the D2 via Robion, and onto Coustellet. Once in Coustellet, go straight over the lights on the main crossroads. Do approx 200m and you will pass the "Musee de Lavande" (Lavender Museum) on the right, take the small lane "Chemin du Sarret" immediately after the museum on the right hand side. We are approx 600m down the lane (go through the no entry sign), we are	on the right opposite the cherry orchard. The journey should take approx 20 mins from the motorway. Neil & Natalene COWELL - Provence Cycling Holidays - 536 Chemin du Sarret - 84220 Coustellet - France.